Welcome to my images! I love travelling, nature and wild places, I am passionate about the environment and I enjoy my photography hugely. I have several exciting trips planned for the future and am constantly adding images to this site - watch this space! Scroll down to see some recent photos, some galleries, and a slideshow of one of the galleries . I hope you enjoy! I capture still images but my talented husband Graham Boulnois takes videos which can be viewed on this site - http://wildlifeaction.co.uk/. This separation of activities works well as many things are better shown as movies rather than stills. Galleries may be best viewed as full-screen slideshows (click on the tiny right-facing triangular arrow somewhere on the page to do this!). If you like a photo please do leave a comment or give it a "thumbs up". 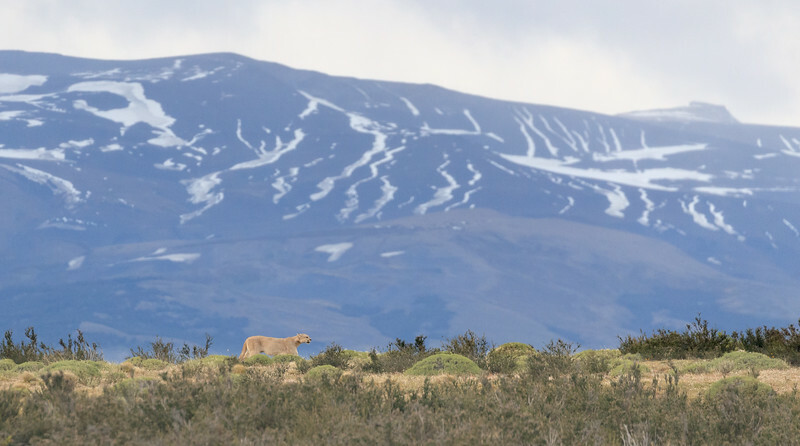 One of our first views of a puma, and we were thrilled!